Do you want to know the best part about spring in Texas? 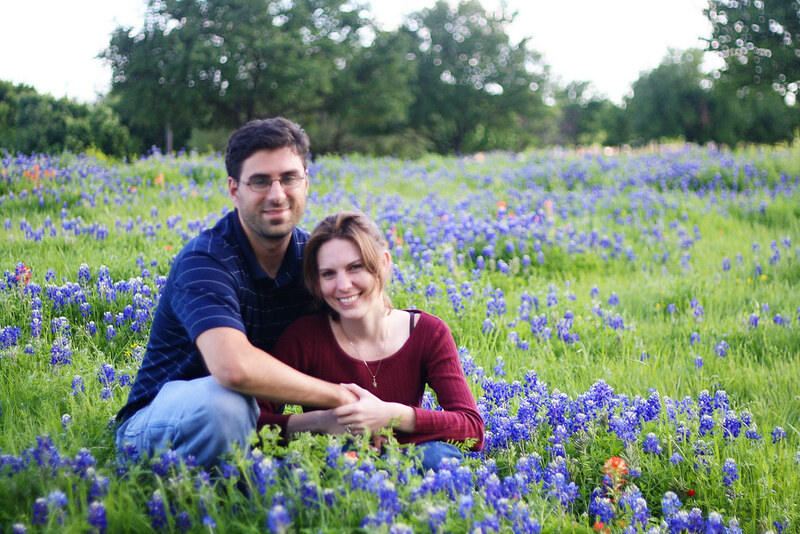 When April and Eric were here last weekend, we convinced them to go with us to a nearby field of the lovely blue flowers to snap some photos. The four of us. So glad we have such great friends! 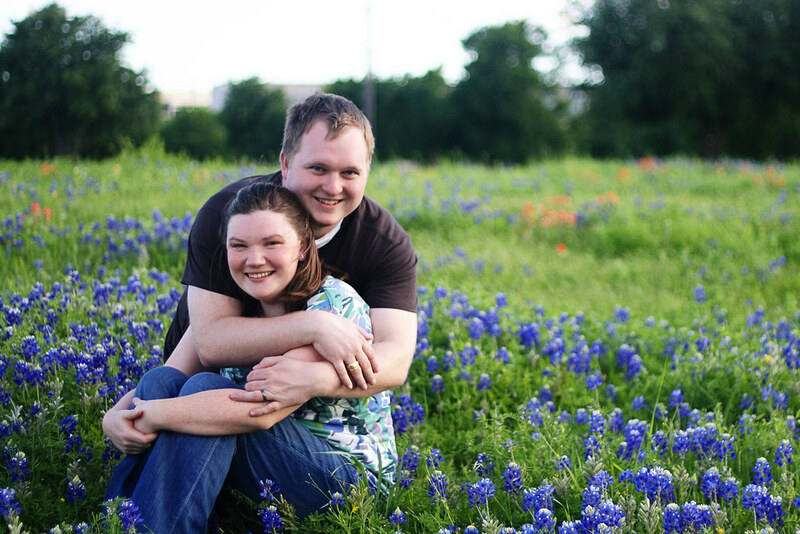 April and Eric — aren’t they cute? We had to get a kissing pic! We love each other (sometimes)! Thanks for enduring the “kissy” pics. They can be a bit tacky at times. But I can’t help myself. 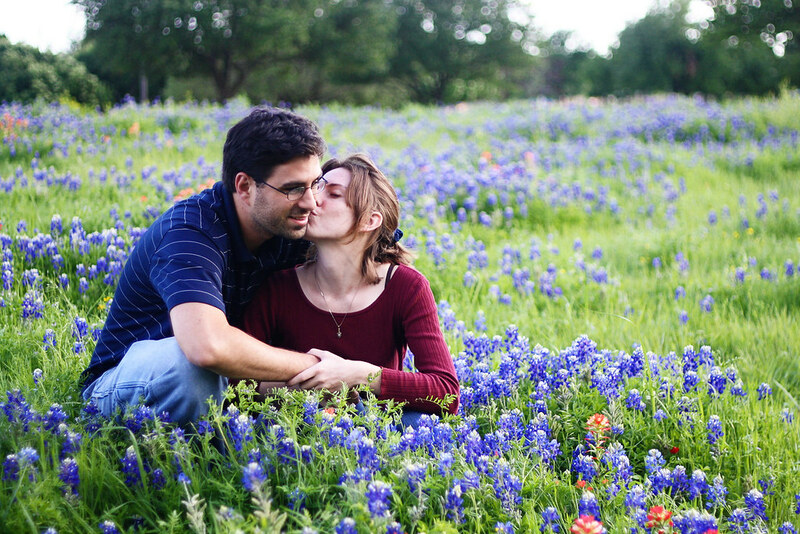 You found a GREAT patch of bluebonnets! Super cute pictures. I didn't do as well this year with getting kid pictures in the flowers, but got a few without. Sometimes I have to settle for what is possible! ha. 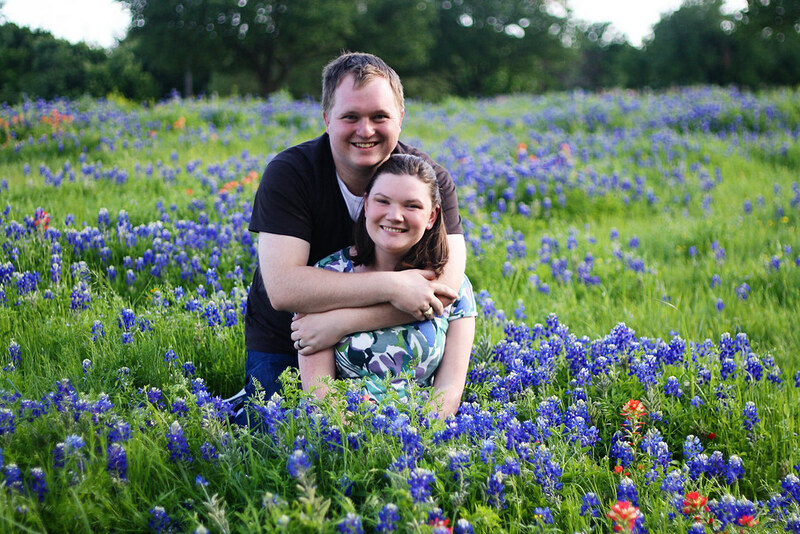 Welcome to DFW Bloggers…so glad we found each other. Thanks, Holly! You've got to make do with what you can get! 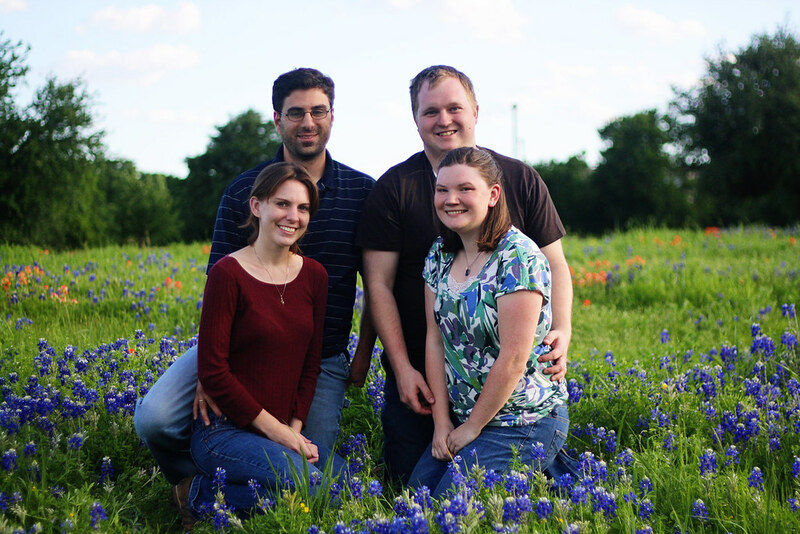 Glad to have found you and DFW Bloggers!